After many requests for wood wedding rings, we have finally introduced a beautiful collection of Titanium wedding rings inlaid with wood. Each design features a natural wood inlay. There are 6 rings within the collection with two main ring profiles. Clients can choose a D Shaped profile or a stylish Flat Court ring profile. 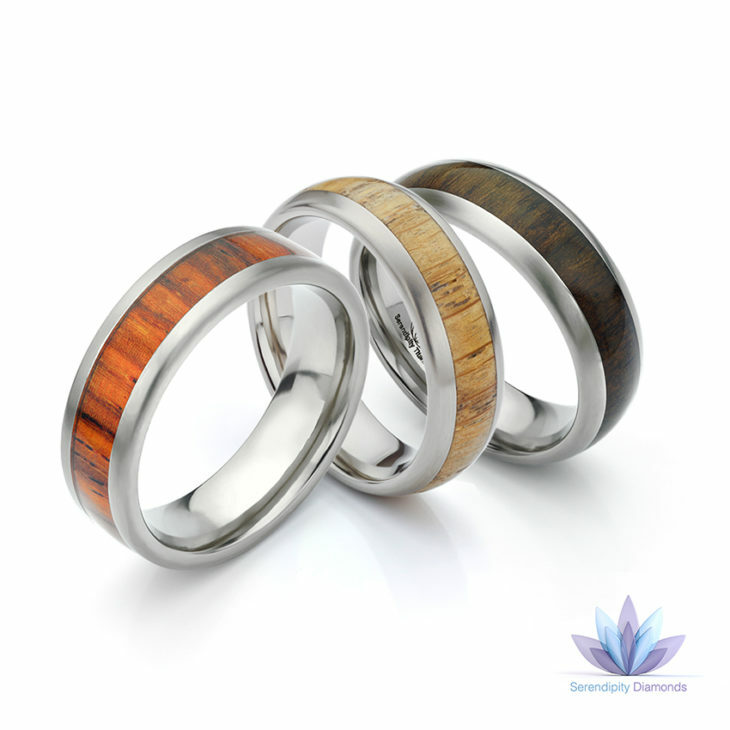 The addition of wood to our existing wedding ring collection adds further variety to an unusual range. Most wood wedding rings are highly personalised and now clients can choose this tactile warm material inlaid within precision engineered titanium bands. Mixing Wood with Titanium – How Durable are Wood Wedding Rings? Because our wooden wrapped wedding rings surround a solid Titanium band, they will withstand incredible wear. Since the wood inlay lies within a shallow channel, the wood is protected to a degree by the Titanium ring itself. 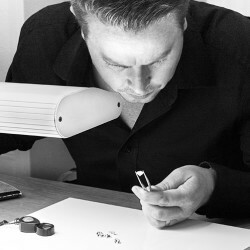 If accidentally damaged, we can replace the inlay without the cost of creating a new ring. Regarding sizing, wood wedding rings cannot be sized, so it is important to order the correct size. As a result of this requirement, we have a very good system in place for checking your finger size. 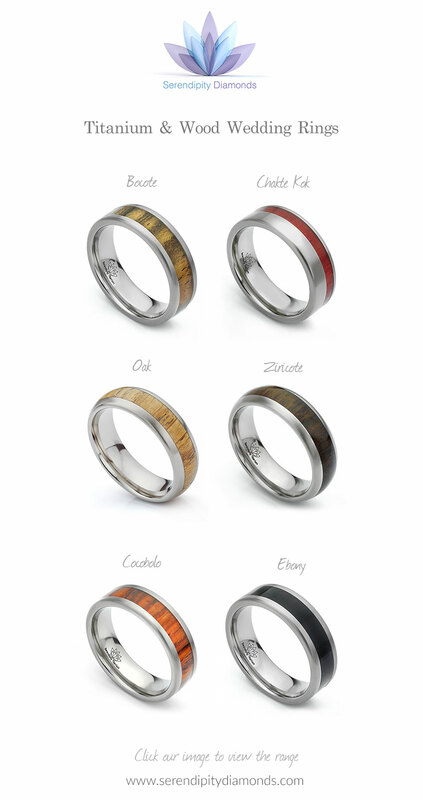 Our six wood ring designs include a range of colours. In addition to a traditional English Oak, there are several kinds of exotic woods. The come from as far as Africa and South America, all responsibly sourced from sustainable wood. Varieties include exotic woods such as Chakte Kok, prized for its rich red colour and defined stripes of red and black. For those who prefer a darker more monochrome wedding ring, Ebony is a perfect addition to the wood wedding rings collection. If you have any questions, our team are on hand to offer expert guidance. We ship our wood wedding rings over the World to countries including USA, Canada, Africa and Australia, so please remember to select your chosen currency on the product page.